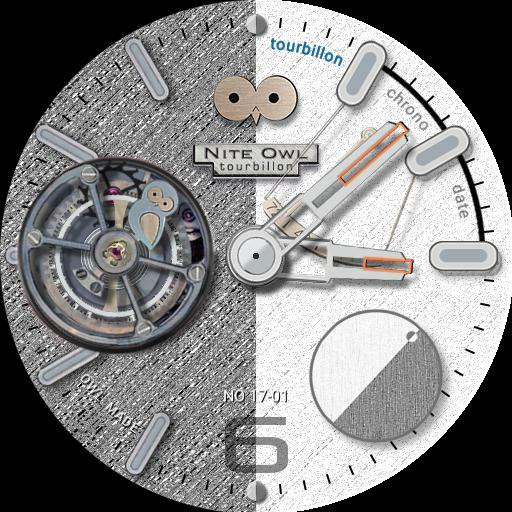 Tap the right seconds dial to switch between Tourbillon, Chrono and Date. Thank you to Carlos Rodriguez Galisteo for the date code. Tap Start and Reset markers for Chronograph actions.